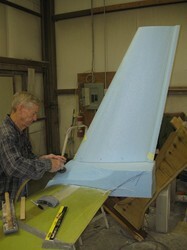 My friend Jack Morrison invited me back to his place in Illinois to build his Blended winglets on my wings. 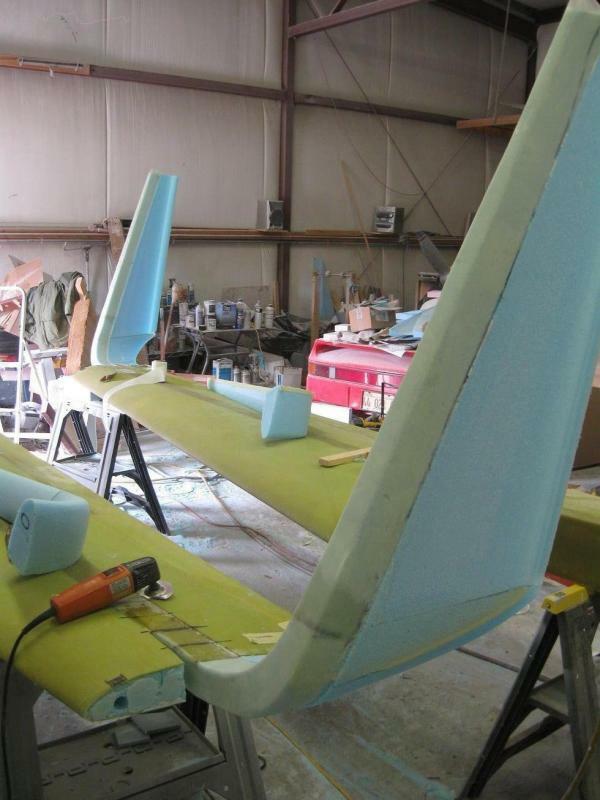 Wings; Since my 540 powered Cozy is going to reach beyond standard Cozy Vne, I wanted flying surfaces that reached beyond standard Cozy specifications. Dennis Oelman is a master composite wing buillder and had built a wing for Jack Morrison that had been used beyond 290 mph without flutter and that can not be said of the stock wings. (Ask Lynn Erickson about his race/descent experience) I went to Dennis and he built my wings to those parameters...not building the winglets, but just providing me the winglet blanks. 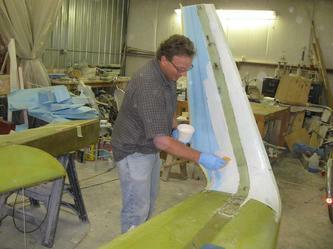 Jack and I would be building out the winglets/rudders at his facility. 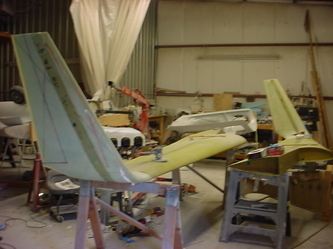 Winglets; These Blended Winglets were the ones that Jack had built and flown to extreem speeds on his highly customized Eracer Extreem. 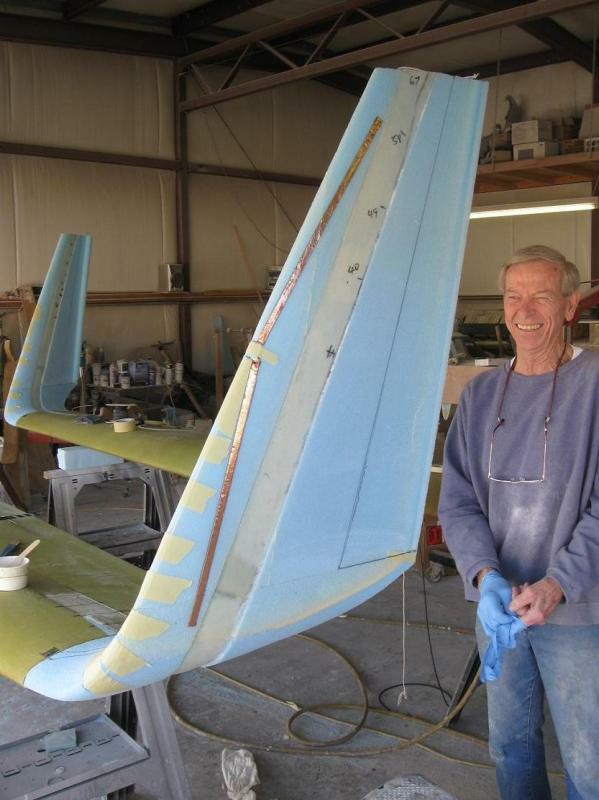 In talking with Jack about my several innovation type things I have posted to do with my designs on my airplane etc...he mentioned he felt I needed his B.W's to complete my wings. "there needs to a pair of these on a custom WestCoast machine" was his observation. To be invited to do the same on my own wings and work together with Jack was an absolute honor and it started a great friendship that means a great deal to me. He is the real deal. 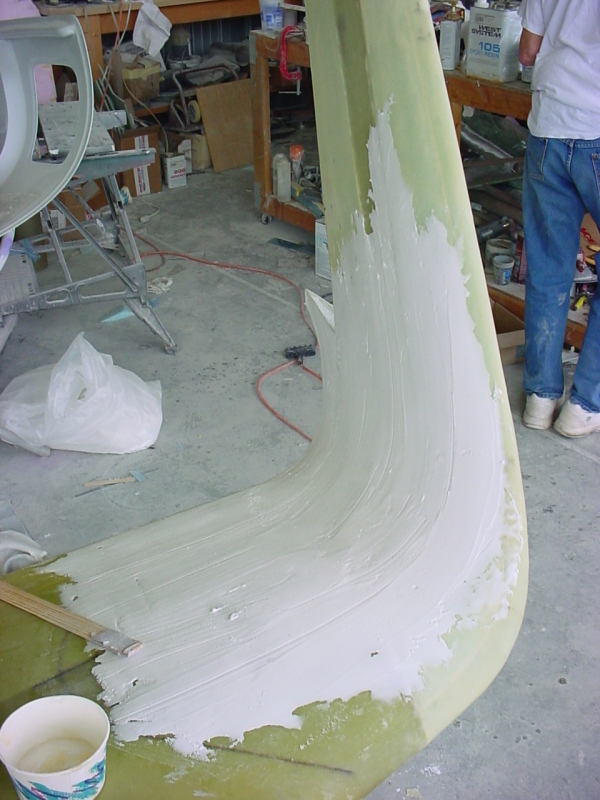 It all starts with a 8"x 8.4" block of wing foam. 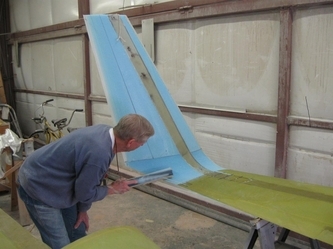 The bottom of the winglet is cut off to keep the height of the winglet from getting to tall. 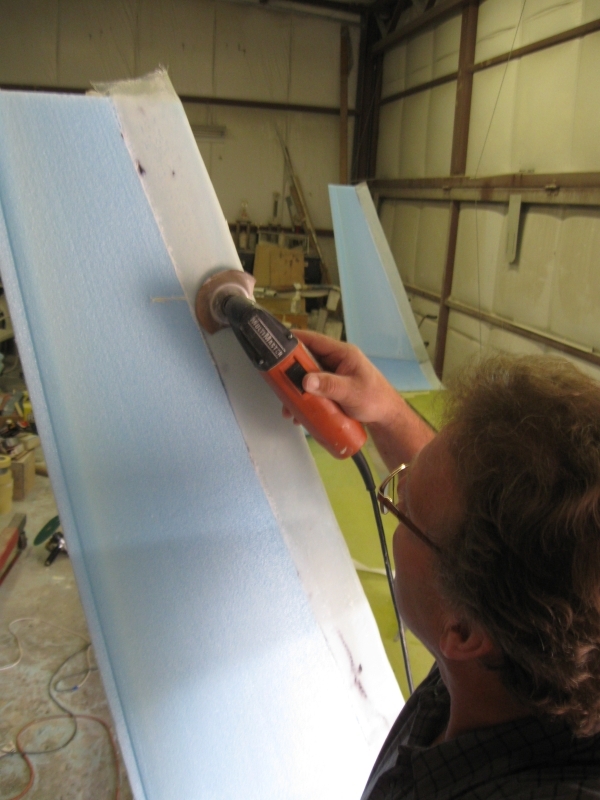 Jack starts blending the curved airfoils by hand by working on the inside shape first and then the outside. The lines for the spar caps are marked with a laser line and chalked out. The spar caps troughs then are sanded down for the proper depths and the fronts are cut off to a laser line. A spar cap is created through the blend with UNI, similar to the wing Spar detailing. The fronts are routered for the comms and the insides for the lighting. 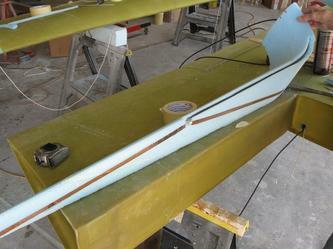 The rudder cable conduits are lengthened. The L.E. 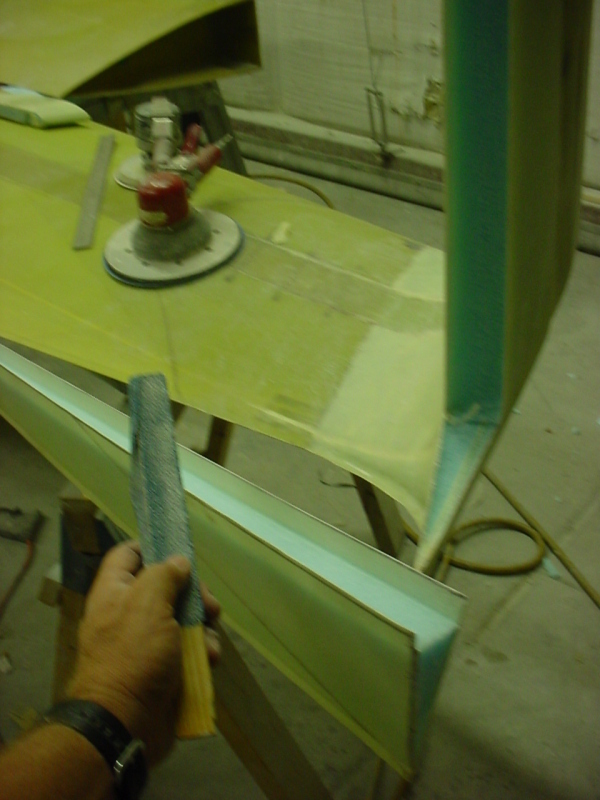 fronts are put back on with 5 min epoxy and everything is microed and 2 ply UNI'ed to the proper orientation. This whole process took us 3 days at about 11 hours each day. 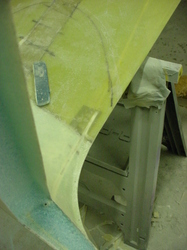 As things were drying we worked on Jack new plane, sanding. Great stuff! A couple months later a second trip out to Illinois to work on rudders and then bring everything back on my trailer to California. Thanks Dennis Oelman for the stronger Eracer spec wings and Thanks Jack for your Faster Blended Winglets!!!!! AS USUAL, CLICK on any image below to ENLARGE. It was standard (shortened) MarkIV length. 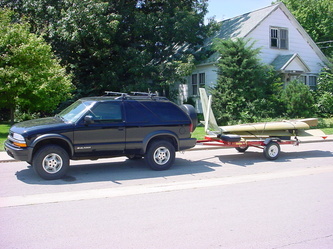 I have sold it a few months ago, in favor of having Dennis Oelman build a full length canard for me.